Feel real Lake Tahoe community and pride at this fun & funky shop that has been catering to locals and visitors for 37 years. Sierra Ski and Cycle Works has been owned by South Lake Tahoe mountain bike pioneer, Gary Bell, since 1980. “I want to help people understand the roots of Tahoe mountain biking, and how it has evolved over the past three decades,” says Bell. As the unofficial official Tahoe bike and ski museum, you’ll find all sorts of locals sharing trail tales, buying and renting bikes from this local business bred in the mountains. Bell and his long-time friend, Geoff Clarke, explored all the backcountry trails on the first Tahoe-made mountain bikes called Clunkers that they built in 1978. Made out of beach cruiser frames and big heavy tires, Gary and his buddies would ride their Clunkers all over, connecting abandoned hiking trails they called the “Cabin Ride” and “Tin Shack Ride.” Following one of their more crazy descents down Saxon Creek, they named the trail Mr. Toad’s Wild Ride – South Shore’s most famous trail to this day. Today, you can still find Gary and Geoff, a certified ski guide, deep in the backcountry on their bikes or skis. 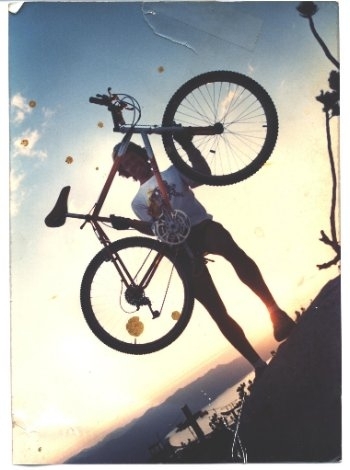 Gary knows a lot about Tahoe bike culture, having owned his bike and ski shop since 1980 and helping to organize the Tahoe Area Mountain Biking Association in 1988. With old Tahoe memorabilia decorating the walls and busting at the seams, Sierra Ski and Cycle Works is kind of like the unofficial South Shore bike and ski history museum. You can check out a Tahoe Clunker built by Gary in 1978 and share your own Tahoe Trail Tales at the shop daily. 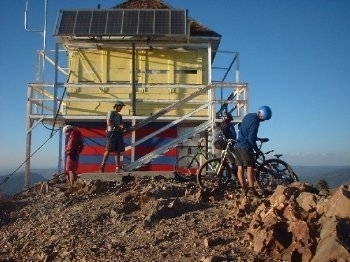 For more information about the shop, visit SierraSkiandCycleWorks.com, located at 3430 Lake Tahoe Blvd. (Hwy 50) in the middle of town, next to Safeway, open daily from 9am to 5pm. Stay up to date on Lake Tahoe events, culture news and more.